In this section, we can talk about the general requirements of an inspection and the scope of an inspection. You will find that various standards, codes of practice are minimum documents and are useful in making decisions about the purchase of the property. There are other reasons why inspections are undertaken and maybe because the property is rented and they wish to have a maintenance inspection and may be subject to finance and require evaluation. Various states have their own requirements bylaws or standards for inspections, and it is not my intention to include this in this general overview of inspections. Residential buildings come in many forms from a multiunit high-rise to freestanding houses, semi-detached villas or even the modern townhouse. In Queensland, it is the requirement that a building inspector is a licensed builder and have the relevant professional indemnity insurance in place. Codes of practice, building standards and inspection standards contained guidance and information and usually contain various appendices that include the required or integral part of an inspection and other areas for information only. For example, poor subfloor drainage would be an integral part of a report. Where a leaky cistern would be for your information only. Also, various other inspection reports may be required for example A Pest Inspection Report, Electrical Inspection Report, Plumbing and Drainage Report and even a copy of the original plans from the council have value in ascertaining what alterations have been done to a building. These additional reports supply information that may not be readily available to a building inspector but may cause you serious expense in the future. For example, a per goal that has been attached to the house though not certified by the local council may for all intensive purposes be well constructed but will cost you many thousands of dollars to have it approved by the Council. As I had pointed out in the earlier article, we are not there to identify illegal or unauthorised building work or non-compliant work. Our report is divided into two distinct parts the identification of the dwelling/building and the report. The identification of the building talks about the style, the type of cladding, roof cladding construction type peers and the other various elements of the building. It is not meant to be empiric as the builder may describe various surfaces by common names then it is possible to completely misidentify what they are. This identification is more about letting the client or purchaser know about the style of the house. The report goes into details about the various elements and areas of the structure. Included in the reports all in the report agreements are definitions of the various areas, the types of defects, various building elements, limitations various defects and significant items and even defines the various sections of the house. Inspection is normally done of all areas that are accessible given the limitations of height and the ability to gain entry. Manholes or ceiling access points must be of a certain size and height, as with subfloor men access must allow a minimum height and crawlspace. Where reasonable access is unavailable, this should be documented and possibly excluded or a recommendation to gain access. The inspector will understand, and into super limitations to the inspection, these are usually included in the pre-inspection agreement but again they may not cover all items. For example, aggressive dogs in the backyard and may not allow full inspection of the exterior, locked garages or sheds restrict inspections. Where possible our inspectors will try to make you aware of the significance of these limiting factors. It is important that the inspections be undertaken as early in the purchasing process as possible as it may be necessary for additional inspections to be undertaken or additional areas to be opened for the inspection to be completed. This allows you sufficient time to gather all the information on the property to make an informed decision. There may be additional charges, especially where other specialists are involved for example the electrician or plumber. Or if it’s something as simple as a locked bedroom arrangements can be made where the inspectors in the area to return and possibly no charge involved. In the next section of this series of blogs, I will go into the various types of defects whether they be major, minor safety. I will try to define them for you and put in perspective with regards to report. Again this blog is for general information only and cannot be relied upon for the interpretation of a report, standard or code of practice. Why an Australian standard for a building and pest inspection, in Queensland building and pest inspections are done in line with the Australian Standard 4349.1-2007, the purchase of a home especially a first-time Buyer is a serious decision and must be sustained with an understanding of the condition of the property. Impartial and unprejudiced advice is required to make possible knowledgeable decisions. The standard implies that the inspection by a licensed and qualified builder by its nature will be a personal assessment of the circumstances of your new home or building. As we are not Certifiers, we are not here to objectively assess the structure. And it goes without saying that different inspectors or even possibly the same inspector may reach different scenarios as to the condition of your new home or building. The Australian standard 4349.1-2007 informs us that it is seeking a balance between consistency of outcomes, the limitations of time and cost yet still giving the flexibility required to report on different and sometimes many types of homes and buildings. The inspection of the building or new home is not restricted to prepurchase or presale but may have other interested parties, for example, an investor may be looking at the report for valuation, a real estate agent may be looking at it from a risk assessment point of view before taking on the rental. You should remember that the Australian Standard 4349.1-2007 sets out the minimum requirements for inspections. Plumbers, roof tilers, structural engineers and air-conditioning specialists are other types of’s special inspections that may be required. Common sense would dictate that the building inspections and other associated inspections be completed early in the buying process thus enabling the purchaser to understand the property’s condition and hence make a well-informed decision if to carry on with the purchase. On occasions, the vendor (the seller) commissions the building inspection reports to streamline the sales process and rectify any defects. There are significant limitations to the Standard; significantly you need to understand that any report prepared in line with Australian standard 4349.1-2007 is not a “certification of compliance”. It will not prevent problems occurring in the future and will not locate or identify building work that is not or does not comply with building codes or regulations. Australian standard 4349.1-2007 requires that inspection agreement is entered into before the inspection and will define the purpose, the scope and how the client accepts and commissions the inspection. Notations of any change to the purpose or scope of the inspection are to be noted. In Queensland, The Queensland Building and Construction Commission is the body that licensed completed building inspections. It is a requirement to have professional indemnity insurance in place. Please note it is not part of the inspection to report on easements zoning covenants et cetera. Your legal representative is the person to seek an explanation about title and ownership. In general terms, the scope of the inspection is the identification of major defects and form a view about the condition generally of the building. Estimation of cost of rectification is not required when the inspection is done to this standard. Where the client requests and estimation cost this estimate is based on the inspectors own experience and standard industry costs. Remembering the dependability of the costs and guide only. Seeking additional quotations for specific work including the extent is another method of establishing the costs of rectification or even a quantity surveyor will give an estimate of the cost of repair. 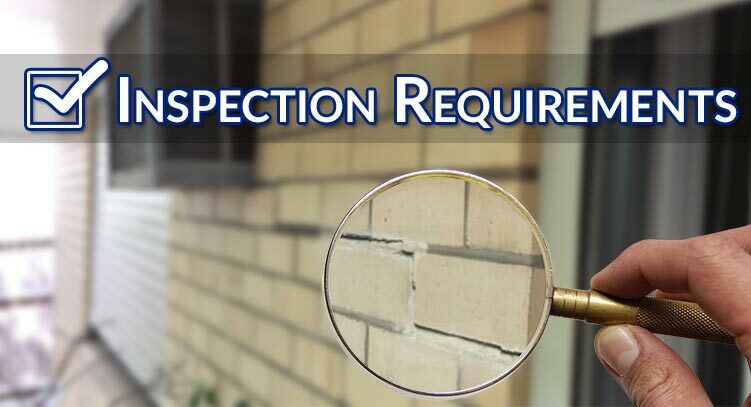 All available areas of the structure should be inspected, and where access is restricted or not reasonable, these should be excluded from the inspection nor will they form part of the inspection. Access and the right of entry to the dwelling or building are normally arranged by the purchaser or the purchases agent. It is not uncommon for us to arrange with the agent on your behalf time of the inspection as this removes the unnecessary telephone tag that may occur in seeking suitable times. It is fundamental that the client understands that there will be limitations to the inspections. Having said that it would not be unreasonable to request the vendor to make access available when the limitations of the inspection have been removed. The minimum expected under the standard is a report on major defects, safety defects and minor defects are reported on generally. At Twinspectors we exceed the minimum standard and endeavour to report on minor defects that we consider may influence your decision to continue with the purchase. All safety issues will be reported on as a major defect. We will endeavour to include these defects in our report in such a way that any major defect or safety issue cannot easily be overlooked. The litmus test in our reports is that we are comparing buildings of a similar type of construction with similar age of construction in acceptable condition with an adequate maintenance program during the life of the building. And it is irrelevant whether the building complies with the current Australian Standard regulations, codes or acts that are in force at the time of the inspection. Reminding you that we are not certifiers and we are not there to report on illegal building work. The building is to be compared with a structure that was constructed by the building practice at the time of construction and has been maintained as there has been no noteworthy loss of strength and utility. Our inspectors are fully licensed builders with current licenses, Twinspectors is licensed to do building and pest inspections with the Queensland Building and Construction Commission. We have our professional indemnity insurances in place as well is adequate WorkCover policy. Where possible Twinspectors is an equal opportunity employer. I will continue with this series of articles trying to simplify what we do in an inspection and why, it is not a comprehensive document, and we are only talking in layman’s terms removing any jargon. If you have questions, please call Twinspectors, and we will endeavour to answer them. In the next article what we review the areas that to be inspected, and I will include limitations where possible. It has become very popular in Queensland because of our temperate climate to incorporate outdoor entertainment areas/outdoor living areas. These renovations in older homes generally will incorporate deck or veranda, or in the case of new homes, the designs include alfresco dining areas as well as decks and balconies. There have been serious injuries and deaths in Queensland from deck collapse and failure. This article may assist with safety inspections of decks and other external structures that in the event of a collapse are of sufficient height to put family members and friends at risk. Owners are obligated to ensure their decks and balconies are safe always. All balconies will fail at some stage either because of poor design for construction or simply badly maintained. The impact emotionally, legally and financially can be enormous for homeowners. What makes balconies and decks unsafe? Badly designed and poorly maintained balconies and decks are a danger and will cause possible serious injury or death to loved ones, colleagues or friends. Different things may affect the safety of a balcony or deck over its lifetime. Attack by insects such as termites and borers will affect the strength and condition of timbers. Timber that is constantly moist, weather by constant or continuous contact with the ground or another timber member with moisture present. The corrosive effects of being near the coastline can affect unprotected structures and building elements including reinforced steel and fixings such as bolts and fixing plates. Decks are not designed to hold large water features, spas, large heavy barbecue equipment and exercise equipment. 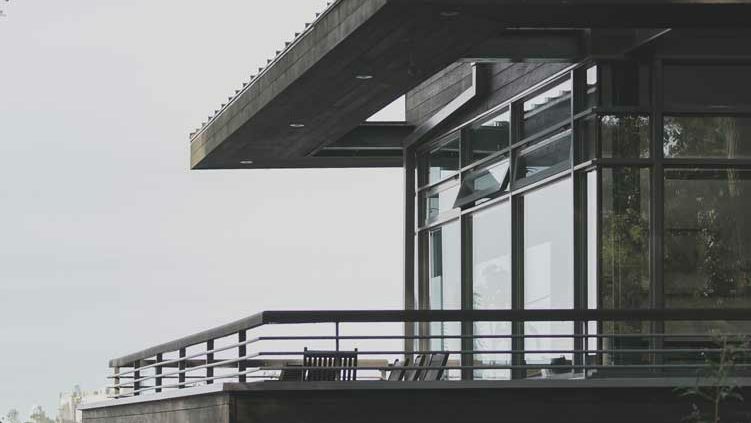 Check to see if your balcony and deck has been designed and erected correctly. It is possible to get the building approvals and plans from your local council and maybe compare them to the actual structure. Inspection by an engineer (structural) or a suitably qualified builder. Materials that can deteriorate should be inspected yearly to identify any potential problems. Bolts and screws can loosen and corrode over time. If not protected, timber can be susceptible to insect attack and decay. However treated timbers do provide resistance for an extended period they still will require maintenance and regular inspection. Rot and decay is a particular danger and correctly applied stain, or paint finish will restrict moisture or water entry through the faces of timber, but gaps and joins and end grain that are exposed provide access for moisture to penetrate. Water pooling on the deck or balcony surface. Balustrading that is not directly fixed to the main support structure-fixed to the balcony or deck surface. Loose or inadequately fixed solid balustrades and balustrades fixings at wall junctions. Exterior cladding that terminates against a balcony deck may contribute to decay or rot. Support members and connections that are covered by cladding or lining boards that are fixed to the balcony or deck. Excessive bearer lengths without support posts or columns. 20 years or more would be a reasonable life expectation of a timber balcony or deck that is well maintained. Look for changes in the structural members. Has the timber moved from its intended position either by warping or bending or cupping? Moisture causes discolouration in timbers this moisture will lead to decayed timbers these should be probed using a sharp knife or screwdriver. The feel of decayed timbers is soft and spongy. Handrails and balustrades need to be checked to ensure that the fittings aren’t corroded, loose or badly installed. Physically pushing and pulling balustrades and handrails to ensure they are secure. If possible physically pushing the main supporting beams or joists to detect any movement is one means of properly ensuring the deck is fixed to the building. If possible, check under the deck look at the base of timber posts and the connections to beams for rot. Again, check all fixings, brackets and bolts for signs of rust and that they are firmly attached. Ensure that water cannot pool at the base of any support structure or wall. Floor joists that are fixed between beams require careful visual inspection and possibly maintenance. Where this occurs look for steel plates or manufactured hanger brackets again check fixings that they have rusted and become loose. While underneath probe timbers with a sharp object screwdriver or knife for deterioration especially at joins. In older constructions, Oregon or untreated pine may have been used and are not suitable for construction of balconies and decks these timbers are very susceptible to termite attack and decay. If these timbers have been used a regular and thorough maintenance schedule must be employed or consider replacing the timbers with products that are more resistant or sustainable. Timber support posts are attached using proprietary metal brackets (galvanised) or stirrups with adequate clearance from the concrete footing to protect against insect attack and rot/decay. Whether it’s timber (with steel stirrup) or steel posts they must be embedded in concrete and securely anchored to the foundation. The expected life of a concrete balcony is between 40 and 50 years. The deterioration in concrete balconies is not as obvious as those in timber. Corrosion in the reinforcement (steel cancer) occurs when small cracks in the concrete surface allow moisture to penetrate, these cracks may look harmless. Look for signs of movement or leaning this may indicate a problem. Under the balcony look for rust stains or steel that is exposed. Physically push and pull handrails and balustrades to ensure they have not become loose or corroded or simply unstable. Where there is flaking concrete or cracking concrete, this may indicate a serious problem and needs to be examined by a structural engineer or licensed builder. The material in this article provides general advice, guidance and information. About any particular concern, you must seek appropriate professional advice from an engineer or registered builder the writer of this article expressly disclaim liability, negligence or otherwise, for any omission or act as a result of reliance on this article or any consequence. All decks and balustrade must have regular, thorough inspections. Neglect to do so may result in death or injury and financial loss. Emotional mistakes are common in homebuyers. They tend to overspend just to make their dream home a reality. Often, they let go of rational thinking and just ride along with what feels right. Before signing the papers to buy a new house, it makes a huge difference to check the most important things first. Apart from having a professional inspector check the house, there are certain things you need to pay closer attention to. What Are the Factors for Choosing Building Materials? When planning out a construction of a new property, aesthetics is usually the main consideration for the project. After all, when you are building your dream home or another property for commercial purposes, don’t you want it to look its finest? As your new property is being constructed, you would definitely want for it to be able to stand for several years and decades, and the durability of the materials being used has a significant part in making this happen. While most people have a general idea about the durability of building materials, research may sometimes be helpful if you want to compare various materials. We also advise our clients at Twinspectors Building and Pest Inspections that they have their properties regularly checked, even during construction, to make sure that the materials used are of a high quality and that the work done meets the standards of the Building Code. Not all types of building materials are readily available. Depending on the project, some may need to be transported from another state or even another country. If most of the construction materials that you need for your project are not widely available or take longer to arrive at the site, then you can be wasting not just time but also money. Price is perhaps one of the first considerations of property owners, and for good reason. The price of your materials should be within your budget, otherwise, it could cause delays in construction and the completion of the entire project. Many times, the location of the property is disregarded when it comes to choosing the building materials to be used for construction. But it should be one of the foremost considerations because the location alone and its environmental conditions can affect the durability of the materials and even the structure’s design. For instance, your property could be situated in a mountainous or wooded area. You would probably avoid using too much timber as it can invite pests, making your home more vulnerable to damage. If you live near the beach, your materials will also slightly differ from if your property was built in the middle of the city. In addition, our team at Twinspectors Building and Pest Inspections also encourage builders and property owners to check with their local council and state on policies regarding the use of specific building materials and any potential health or safety hazards. https://www.twinspectors.com.au/wp-content/uploads/2016/06/twinspector-logo.png 0 0 Tony Hardy https://www.twinspectors.com.au/wp-content/uploads/2016/06/twinspector-logo.png Tony Hardy2016-06-22 05:54:362017-12-05 14:18:45What Are the Factors for Choosing Building Materials?